Everyday we live a page in our life, and for some it’s unpleasantly unpredictable. What if you took control of your life narrative and turned it into an exciting journey? Based on ten years of research, Arlie Peyton shows people how to be the hero in their own story and live a more remarkable life. 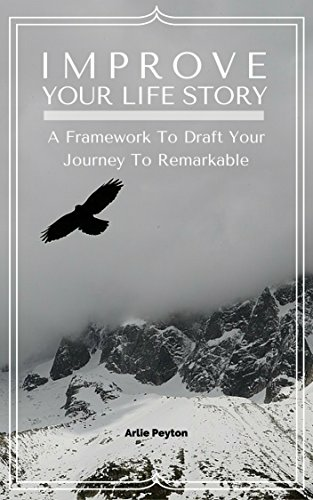 In this concise volume, Peyton explains how to improve your life by using a familiar story framework. Through stories we are entertained and educated. Stories also help us understand goals, conflicts, turning points, and resolutions. When we understand the process of our own life stories, we can draft more favorable outcomes. Improving Your Life Story is not about trying to change things in the past. It’s about the courage to dream, plan, and live a better ending to our tomorrows. For this we’ll need to be vulnerable and reflective of what the past has taught us. These stories shape our character and resolve. When we rediscover our best self, a dynamic character emerges and we can make sure that each chapter in our lives end with wonder and joy.